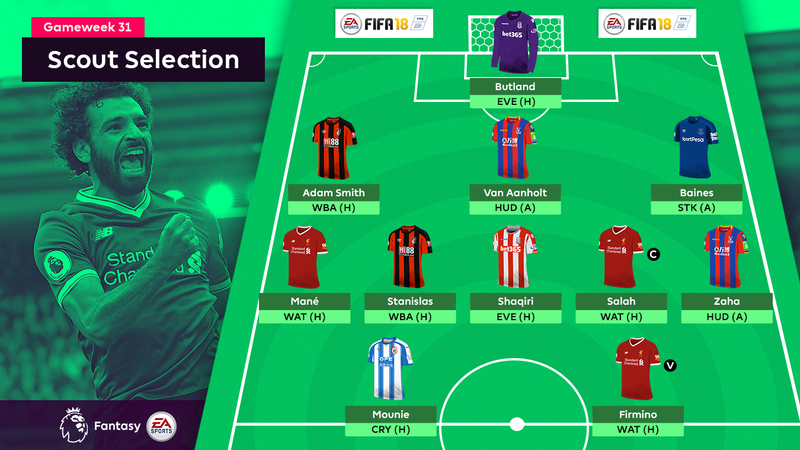 With just four fixtures in Gameweek 31, Fantasy Premier League managers must maximise the points potential on offer. 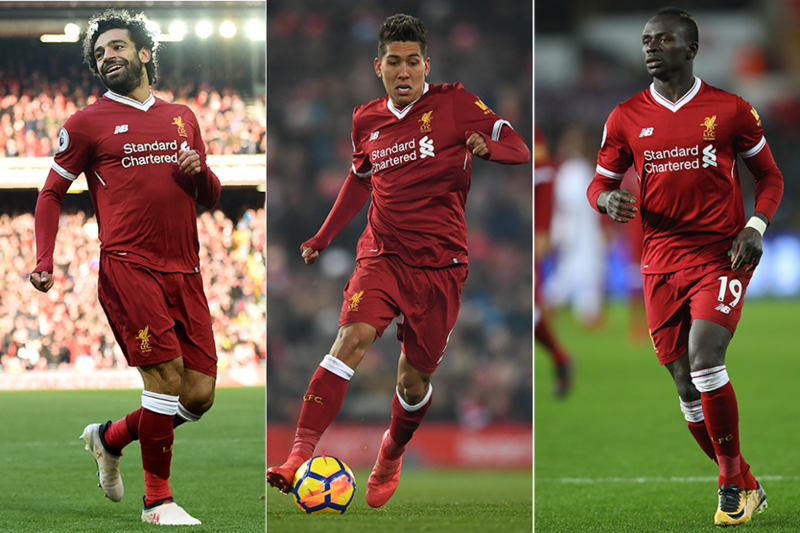 Liverpool's home meeting with Watford provides the most likely scenario for big returns, with The Scout looking to their potent three-man attack to lead this week's best XI. The Stoke City goalkeeper is in outstanding FPL form ahead of Everton's visit. Since returning to the starting XI in Gameweek 15, Butland has produced 80 saves, making three stops or more in 14 of 16 matches. His total of 22 save points is more than anyone else. Deployed on the right of midfield by manager Eddie Howe, Smith has shown his ability to contribute to the AFC Bournemouth attack in recent matches. He scored his first goal of the season against Newcastle United in Gameweek 28 and provided a third assist in the defeat by Tottenham Hotspur last time out. It is the Dutchman’s attacking threat that leads to his inclusion, after he scored in back-to-back Gameweeks. Since Van Aanholt's return to the Crystal Palace XI for Gameweek 21, Marcos Alonso (£7.2m) is the only FPL defender to have had more shots, firing 15 to the Palace player's 14. The left-back returned to the Everton line-up from injury last weekend, supplying an assist in a 2-0 victory over Brighton & Hove Albion. With Gylfi Sigurdsson (£8.0m) sidelined, Baines could be handed set-pieces for the trip to Stoke, while he may also take on penalty kicks after Wayne Rooney's (£7.2m) miss against the Seagulls. Mane has also been in exceptional form. He has produced five goals and an assist in his last five appearances in all competitions and his 14 shots and eight chances created match Salah over the last four Gameweeks. The Cherries winger has surpassed every other FPL midfielder, including Salah, for shots on goal over the last six Gameweeks, firing off 22 in total. On the back of six successive starts, Stanislas will pose the biggest threat to the West Bromwich Albion defence at Vitality Stadium. Since Paul Lambert’s appointment as Stoke manager in Gameweek 24, Shaqiri has been given greater attacking freedom and supplied three goals and an assist. He hosts Everton this weekend. The clear choice for our Gameweek captain, Salah will face Watford at Anfield having supplied a goal or an assist in 12 of his 14 starts on at home. Owned by 61.8 per cent of FPL managers, he is a near-essential target for this weekend. Zaha’s return for the second half at Chelsea almost inspired a Crystal Palace comeback. He provided an assist in that cameo role and will likely start against Huddersfield Town on Saturday. The Benin forward will likely line up opposite Zaha and will provide the major goal threat for the Terriers. No player fired more shots in Gameweek 30 than the eight from Mounie, who scored twice against Palace in the reverse fixture on the opening day of the season. Our third Liverpool attacker warrants inclusion as the standout forward option for Gameweek 31. Firmino has supplied two goals and two assists from his last four Anfield matches and scored 12 points at Vicarage Road in Gameweek 1.